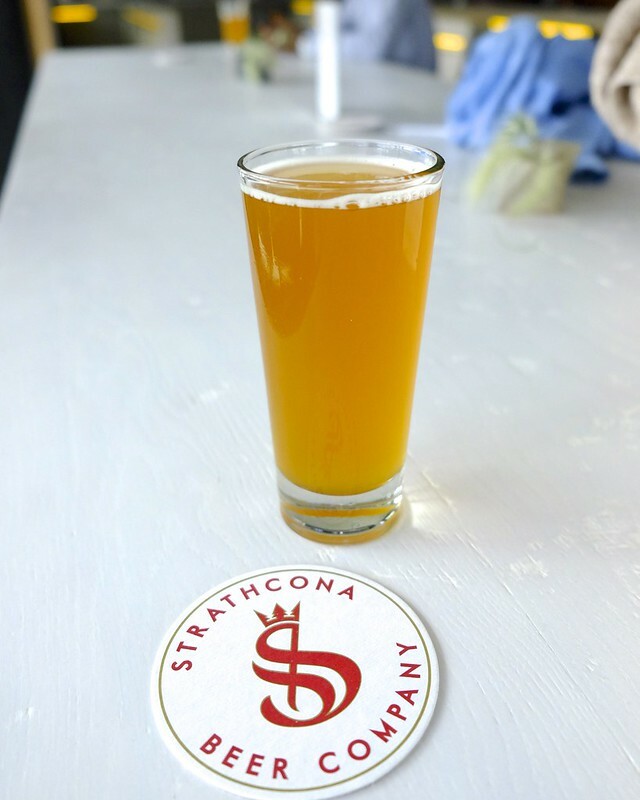 Strathcona—The aptly named Strathcona Beer Company opened its doors last week serving the public for the very first time. 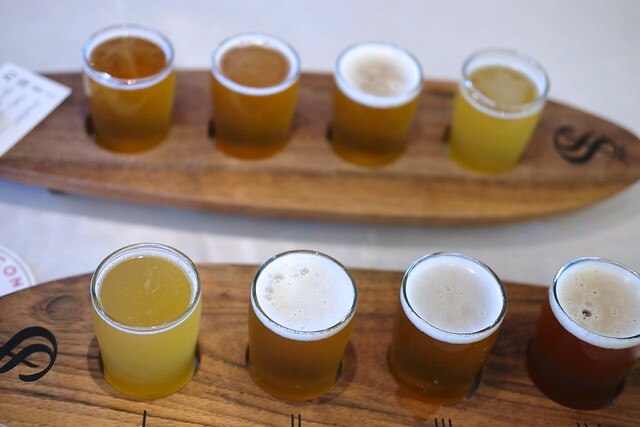 A couple simple things feel immediately clear about the business and their local moniker: they aim to reflect the style of the neighbourhood they inhabit and serve craft beer accordingly. Inside, the 12,000 square foot brewery is rather spacious featuring a corner art space, large windows peering into the impressive brewing tanks, an ample merch section, dedicated growler and takeout pizza station, classic bar, communal tables, and diner style booths all within the tasting room. My first taste and, so far, the out and out highlight was their Strathcona Gold brew, a creamy Belgian ale, with a vibrant colour and composition. I found it quite smooth, malty, and refreshing. It's their signature ale available in some amusingly designed 40oz. solid black with gold trim bottles (appropriately nuzzled inside a brown paper bag when purchased). 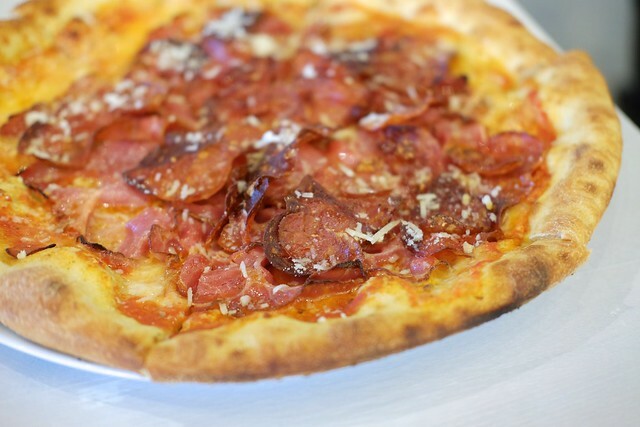 As far as the pizza goes, we tried their no-nonsense meat pizza (with tomato sauce, mozzarella, salami, capicola, pepperoni, and padano). It was thin, crisp, and tastily hearty if a little authentically greasy. 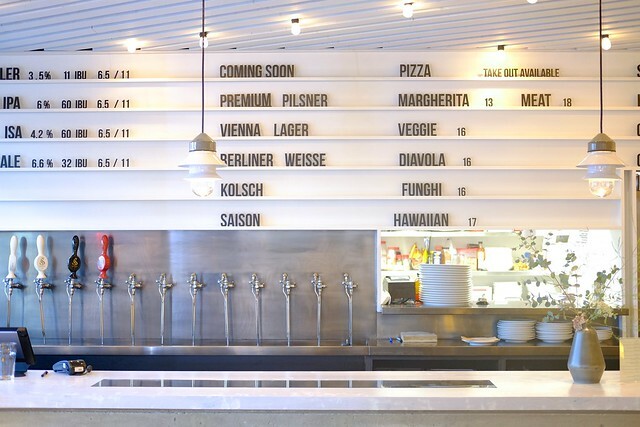 It was a nice mix between traditional neapolitan style and your neighbourhood takeout pizzeria. It especially paired fairly well with the selection of beers. 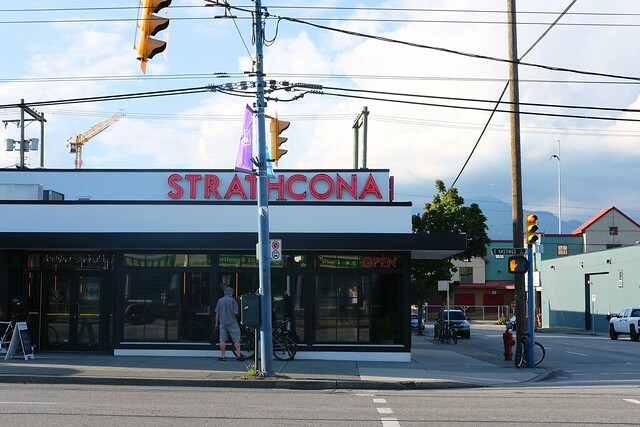 Upon its first week in operation, Strathcona Beer Company is off to a promising start with its trim design, execution, and construction. The space and brewery already has so much greater potential and not just the beer they will serve. 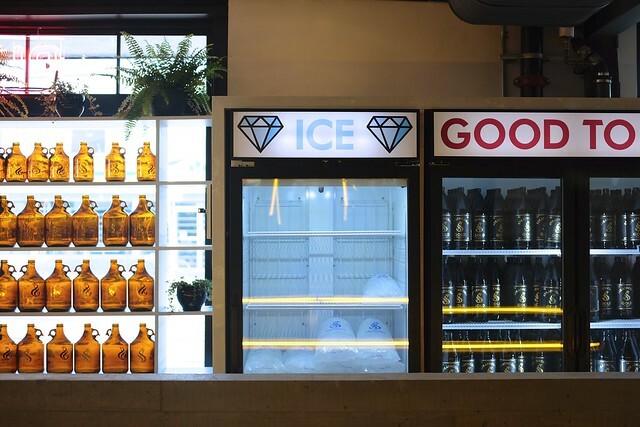 Let's see the role they'll play in the neighbourhood as an amiable watering hole in addition to a social gathering place for artist types and the members of the community to grab a beer and slice. Update: SBC is now fully licensed and has expanded their food and snack menu along with a few new ales brewing.